Have any questions? Here are our answers to the most commonly asked questions. Looking for more info on classes, staff, or anything else? We have the answer you’re looking for right here. When can my child start class? Your child can start class at any time. Our classes run year-round, are split into seasons, and paid monthly. Tuition is based on receiving 4 lessons a month and prorated based on when you start. Our Fall schedule runs from September to the end of May and coincides with the school year. Our Summer schedule starts in June and runs for 10 weeks. Next Level Soccer does not have summer classes, but there will be camps. Our tuitions are set up on an auto draft that can be done through your bank or with a credit card. All drafts are processed on the 5th of each month unless the 5th falls on a weekend or holiday, in which case it will be processed the next business day. We do not accept American Express cards. Safety is of the utmost importance, so we educate our employees on how to handle the different situations they might encounter, how to keep the kids safe, and how to prevent any unwanted issues from arising. How can I drop my student from a class? You can pick up a drop form in the office or send us an email. If you are dropping a class (with reoccurring monthly tuition) it must be done before the 5th of the month. If you drop a class after the 5th of that month you will not receive credits and/or refunds for the remaining classes in the current month. Send an email to theoffice@texaseastkids.com and include the child’s name, the class they are enrolled in and why they are dropping. As always, your registration fee is still good until August, so if they wish to re-enroll, simply submit a request online or give us a call. How is the staff trained? All of our staff receives training in their sport or activity. We have bi-weekly meetings and training to keep everyone on track and updated so that we can provide the best coaching and service to our clientele. All of our gymnastics coaches have completed the USA Gymnastics U100: Fundamentals of Gymnastics Instruction Course and background check. Your child’s safety is important to us as well as the quality of coaches who work with your children. Where do I go to enroll? Our enrollment is done online. You can register from home or on your phone or tablet. You can also come into the office and a computer will be provided for you. Do you have to be enrolled to come to Friday Fun Night or Ninja Night or Friday Night Soccer Spectacular? 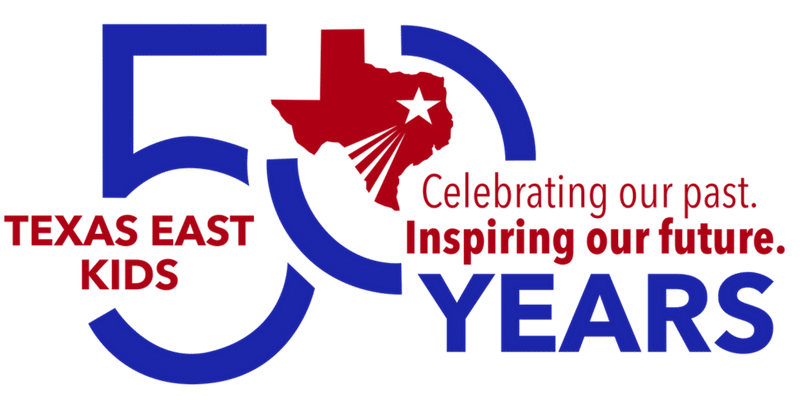 You do not have to be currently enrolled at Texas East to attend these events. You must, however, go online and create an account, create a student and sign all waivers. Looking for more info on our gymnastics programs? We have the answer you’re looking for right here. All classes are 1 hour except for Advanced Gymnastics which is 1.5 hours. What class should my child start in? If your child has never taken gymnastics, it is likely that s/he would start in a beginner class. However, if they have taken before or seem to have a natural bent toward gymnastics we do offer free evaluations to determine your child’s level. Girls Gymnastics: a TEG leotard is required and it can be purchased here at TEG, hair pulled up neatly, and no jewelry. Boys Gymnastics: a TEG T-shirt and shorts is required and can be purchased here at TEG. Cheer Tumbling: Proper sports attire – leotard or gym shorts with no buttons, zippers or buckles and a fitted tucked in a tee shirt, hair pulled up neatly, and no jewelry. Gym shoes that are not worn outside are optional for those in a tumbling class. Can boys do cheer tumble? Yes, boys can participate in cheer/tumble classes. How will I know if my child is ready to move to a different gymnastic class? Every 6-8 weeks, we offer a FREE Level Testing for our students. When your child passes all the skills required for a level they will be moved to the next level. If they cannot come to the free Saturday Level Testing, they can pay $10 for a private level testing. Please call the office to set up the appointment. Can my child take more than 1 gymnastic class? Yes they can! You may sign up for as many classes as you would like. If at any time your class time becomes inconvenient, you may always change to a different class day or time depending on availability.